Waldo Waterman's car was better than Uber's proposed solution. No one knows whether or not Uber will build its flying car. It won't be the first though. 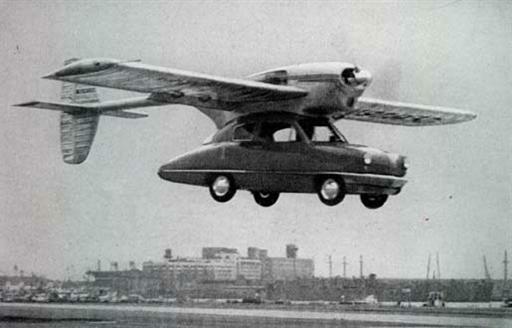 Few know that a real flying car was invented in the '30s. The car flew out of the garage, hit the sky, made a homerun, and landed back in the garage only to be forgotten because of the Great Depression. Back in the 1920s, aviation pioneer Waldo Waterman hated L.A. traffic, so he spent his spare time tinkering on flying cars in his garage as part of his work as Chief Engineer of the U.S. Aircraft Corporation. Waterman's first chance of publicly exhibiting his aerobile (aeroplane/automobile) came February 21st, 1937 in a contest by the Bureau of Aeronautics. The U.S. designed competition challenged aviators to produce a plane for every man. “It should be a very simple, safe to fly, non-stalling, and spinning aircraft,” the newspaper ad announced. The price to construct it, the ads added, should be only $700. How was Waterman’s car different from a regular plane? Planes have tails for pitching the craft up or down. They also have a rudder at the tail end for swerving left or right. Waterman’s aerobile had none of these. Instead, Waterman soldered fins to the wings to control the roll of the plane, side to side. He removed the tail, swept the wings back, moved the propeller to the rear and added rudders to the wingtips. To control the pitch and roll of his aircraft, he combined two control surfaces into one. He called them Elevons, as in part elevator and part ailerons. This meant when Waterman wanted to drive, all he had to do was remove the wings. The Aerobile was a two-seat, single-engine flying vehicle, powered by a 100 hp (75W) pusher engine. In the end, Waterman was one of three winners of the contest, but his historic flying car collided mid-air with the Great Depression of the 1930s. America had no market for flying cars, so Waterman produced only five aerobiles, now parked in the Smithsonian Institution in Washington. May, 10th, 2018, Uber unveiled its latest "flying car" prototype, which looks more like a giant drone than the helicopter-like concept it developed with NASA last year. The new prototype has layers of drone-like stacked and co-rotating propellers. The propellers rotate in the same direction, on two separate rotor systems, to help the craft safely switch between vertical and forward flight. A fifth rotor on the tail helps the plane move forward. If one rotor fails, the others will continue to operate for a safe landing. The biggest contrast to Waterman’s aeromobile is that Uber’s plane is unmanned. Although Uber has said its plane is "pedestrian friendly", they are in for a shock. The Federal Aviation Administration and other bodies have toughened their regulations since Waterman’s time. Justta few of the safety concerns of Uber’s flying taxi include battery technology. This is where the car requires massive amounts of continual power to simply avoid falling out of the sky. The car also needs carefully controlled routes for its autonomous drivers, as well as, uninvented technology to stop taxis from dropping earthwards when when they run out of power. No one wants them to break down and crash into wires, buildings, trees, birds, or each other. Eighty-one years ago, Waterman could just hop in his car and zoom to the skies. Uber may see the end of their company before they ever shoot taxis in the heavens. 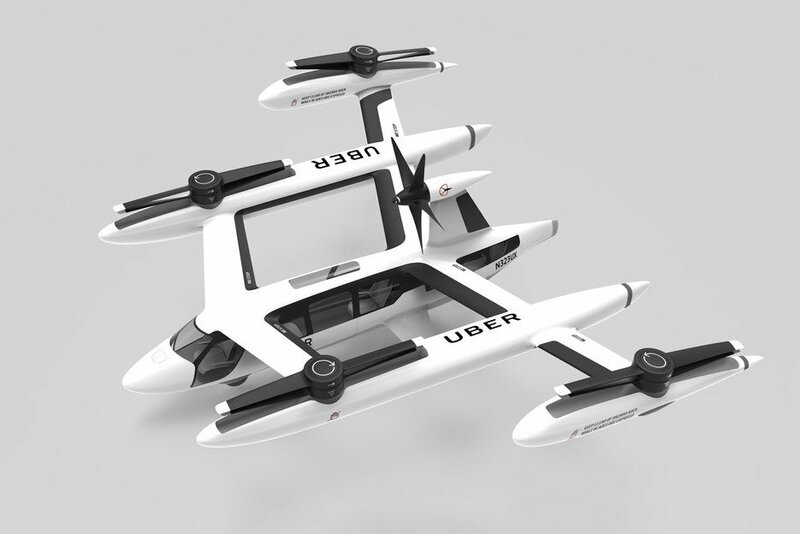 Frankly, Uber has less of a chance of launching its car than Waterman ever had with his Aerobile. Uber’s car won’t be in the Smithsonian. Its prototype will be in the shredder.